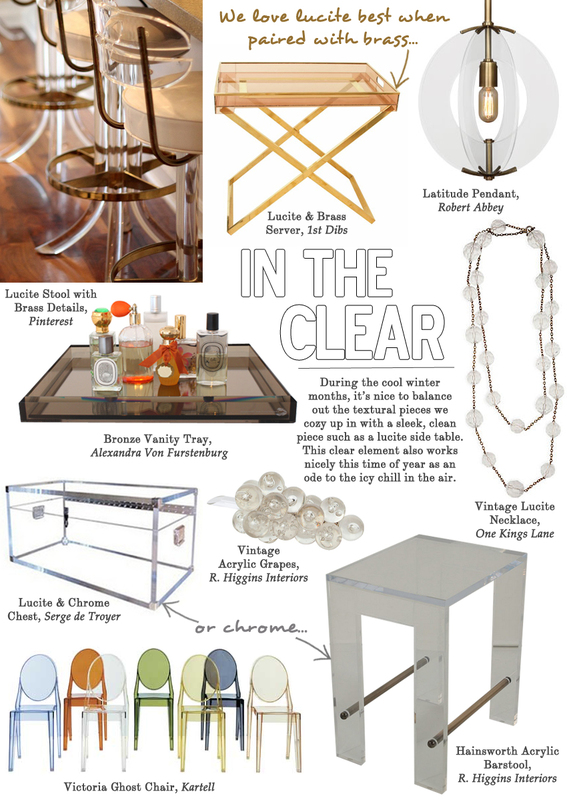 Lucite was a huge trend for 2012 and we hope its popularity continues into 2013 because we sure aren’t tired of it! It’s the perfect option for updating any space, but we appreciate it so much more when its used in traditional settings as an unexpected element. Perhaps the most famous of the clear, modern furniture is the ghost chair which we have used in almost every way- it’s great paired with a feminine vanity to offer a bit of edge or with a rustic farm table to give it a little polish… the possibilities are endless!